Many of you have emailed me with requests over the last few weeks wanting to know where to find 6 cup muffin tins. After emailing back and forth with one kind reader, I decided I would post about it. Because I am sure there are more of you out there. Because the 6 cup variety is used less frequently by traditional bakers, they are not as readily available as the 12 cup muffin tin. I use both 6 cup and 12 cup tins when I make MTMS. 6 cup tins are significantly harder to come by and often times more expensive (go figure). SO here is a list of places that you can find them in stores and online. You will find a what you are looking for in this charming store for around $9.95 (also available for purchase online.). The Walmart website says they have them available in stores. However, I went in and they were out of stock. Check availability before you go in. You can also purchase it online and have it shipped, sometimes for free via their "site-to-store" option. I went to 3 different locations and I was able to find 1 six cup muffin pan for $7.99. It was one of my favorite brands, Calphalon. Finding the right bake ware will be purely by chance, but when you do, it's usually very good quality. Check your local dollar store. They may have them in stock. Mine didn't, but I have seen them in the past. Amazon has a wide variety of brands and prices. Target has a wide variety and some square options which are super cute. So, I live in California. Where have you been able to find them in other areas? 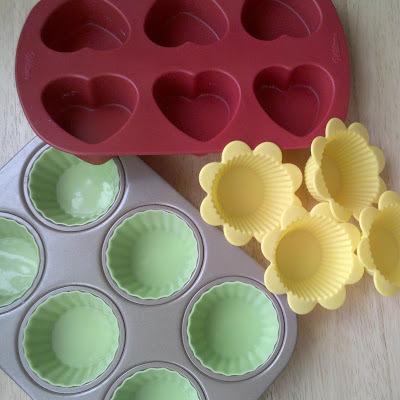 The only place I could find the 6 cup muffin tins locally was Kmart...not even Walmart, Michaels or Target had them. Danielle, that is what I have found too. Kohl's just *happened* to have a set the other day, but it is a rarity. The Dollar Tree seems to have 6 cup muffin tins pretty frequently. *However*, they rust very very easily, so you have to wash and thoroughly dry after use. I've bought them at Dollar Tree in Virginia! In NC I have gotten them at Hobby Lobby, Michaels, Ross, and Marshalls! Local thrift stores always have tons of them around here (Seattle). Both metal and silicone kinds. For around a dollar each. Our dollar store tins did not wear very well either. Thanks for the ideas. I live in India, where we only have a countertop toaster oven. The one store that does carry muffin tins only has 6 cups to fit in the little toaster oven. I have found my muffin tins and cups at my local grocery store...and for decent prices. I don't think they have HEB in California. I've also gotten silicon tins and cups from Michael's, Hobby Lobby, World Market and Home Goods. I'm in Australia, and I've found they're pretty easy to find here. Big W and KMart both sell fairly cheap ones - watch the catalogues, sometimes you can get silicon ones for as little as $4. Big W in particular has a great range of shaped metal tins. Target and Spotlight both sell a limited range of Wilton's (although these are pricey - around $15 is the cheapest I've ever seen Wilton ones).